A Mini Light Bar serves a very particular purpose; it’s POP On and GO because it’s secured with 2 powerful magnets! Take it with you no matter where you’re going or what you’re driving. It will even stay in place on the roof of your patrol car up to speeds of 45 mph, but we highly recommend that you remove it while driving. The Sceptre 13” is just that….13” long, but don’t be fooled. 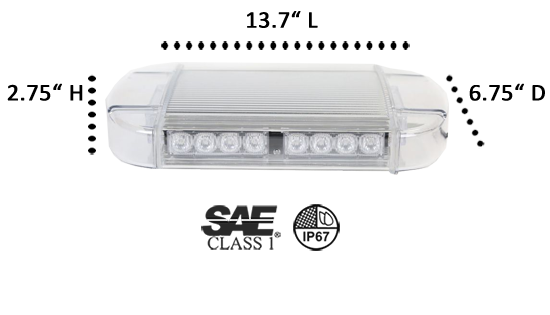 With its 24 Generation IV 3-Watt LEDs you’ll be flashing a whopping 72 watts of brilliantly intense light from the roof of your vehicle in a full 360° circle. It’s got 7 flash patterns and pattern memory and 11 solid color or split-color combinations to choose from, and the whole system runs on just 12 volts. It’s powered by a plug-in with easy-to-reach controls that fits the cigarette lighter socket and comes with a 9’ cord. The aluminum housing is sealed with a rubber gasket meeting the IP-67 standard. The highly focused TIR polycarbonate lenses produce strong beams of light that penetrate the darkest nights and stay bright in all types of weather. The Sceptre 13” is sleek and trim, lightweight, and quick to install. 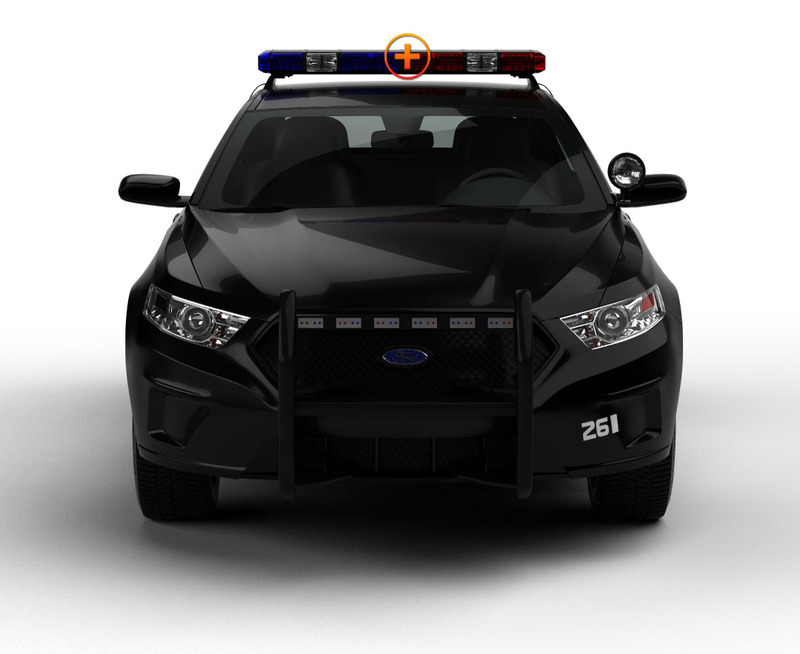 All of ETD’s emergency lights meet the highest standards set by the industry. Take for instance the IP-67 rating; it’s an international standard that tests to see how well sealed electronics are. The ‘6’ means the product keeps out solids/dust to the highest degree, and ‘7’ means that the product is water resistant to the depth of one meter (39.37 inches.) To find out more about regulatory agencies that test products and set standards for our industry, check out the article...LED Standards for Emergency Lights in the Knowledge Base section of our site. Super Bright and Amazing Price. I am very pleased with this mini light bar.